is a new feature that I will be trying out every other Wednesday. the August NaBloPoMo prompts on Blogher. The prompts are all about fairy tales and stories. The prompts are really fun, and I am enjoying them. Wild by Cheryl Strayed. I just started it today and I am totally hooked already. to Lindsey Stirling. We saw her in concert for the third time on Monday. Yet again, she was awesome. This show was very similar to the last one we saw but she played a couple of songs from her new album and one with her opening act. It always amazes me how she plays her violin while dancing! low-calorie food :( I'm trying to take better care of myself and lose a little weight along the way, so I am eating more healthy food and watching how many calories I eat. Hopefully it becomes a habit. sparkling water. I love sparkling water, and I just discovered some new flavors of La Croix at a nearby grocery store. The most recent one I have been drinking is Apple Cranberry flavor. my Cure concert t-shirt and my favorite comfy sweater. It has been cooler here recently, and my favorite comfy sweater is perfect. nervous because I am trying to set up a date for my next hip surgery and I don't like to think about it right now. is cloudy and cool, but it's supposed to get into the 90's later this week. to eat the chocolate that is sitting in my fridge. The first few days of healthy eating are always the hardest. about school starting back up in a couple of weeks. I am going to miss my summer break. CSI: NY. 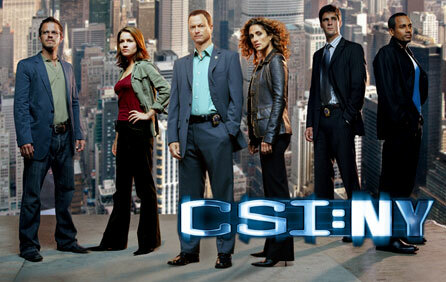 I recently finished all eleven seasons of Criminal Minds on Netflix and now I am working my way through CSI: NY. I do love a good crime show. the fact that my elderly cat has been doing so well recently. She's 18 years old and diabetic but recently she has been doing great. I'll take every moment I can get.